Salman Khan is the only superstar among the Khans to have maximum number of movies till 2019. Salman Khan in a still from 'Kick'. Mumbai: Salman Khan is the only superstar among the Khans to have his hands full with the maximum number of movies till 2019. The actor has been involved in a number of franchises and will probably be the only actor who has booked Eid as well as the Christmas slot in both 2018 as well as in 2019. The superstar is currently shooting for ‘Race 3’ which is scheduled for Eid 2018 release. This might be followed by ‘Dabangg 3’ release in Christmas 2018. Yes, Salman will reportedly start shooting for the movie in April, once he wraps up ‘Race 3’. Interestingly, if the scenario persists, Salman will clash with Shah Rukh Khan starrer ‘Zero’, which also has the ‘Dabangg’ Khan’s cameo. 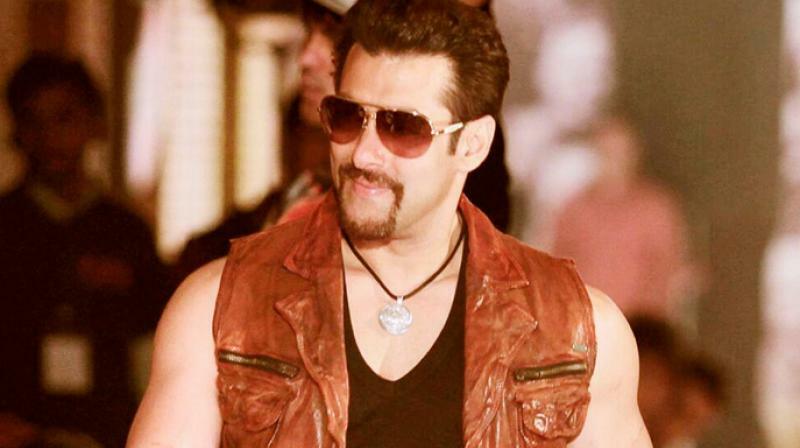 If ‘Dabangg 3’ is on schedule, then Salman’s next film ‘Bharat’, and Atul Agnihotri production and Ali Abbas Zafar directorial, is schedule for Eid 2019 release. Salman gave his last hit ‘Tiger Zinda Hai’, an Ali Abbas Zafar directorial, with whom he earlier collaborated on ‘Sultan’. Apart from these movies, Salman has also been roped in for Remo D’Souza’s next, which is tentatively titled ‘Go Daddy’. That movie will go on floors after Salman can find dates from his current schedule. There are also reports that the superstar might be replaced by Ranveer Singh in ‘No Entry Mein Entry’, a sequel of the 2005 film. ■Salman tweets, ‘Mujhey ladki mil gayi’; we know what you are thinking! ■Salman Khan’s long list of friends-turned-foes! ■Will Salman Khan's Race 3 revive Bobby Deol's career?